Israeli politicians from across the political spectrum slam 'anti-Semitic' UNESCO vote denying Israeli sovereignty over Jerusalem. Israeli leaders from across the political spectrum slammed the UNESCO vote to deny Israel's right to sovereignty over its capital city of Jerusalem Tuesday. Israeli Prime Minister Binyamin Netanyahu said that fewer nations supported Tuesday's resolution than had supported similar anti-Israel UNESCO resolutions last year. “Over the last two days I’ve had numerous conversations with various heads of state and foreign ministers about the absurd vote at the UN. The result is that a number of countries that support this absurd proposal is shrinking,” he says. “A year ago it was 32, six months ago it dropped to 26, and now its down to 22 countries,” Netanyahu said. 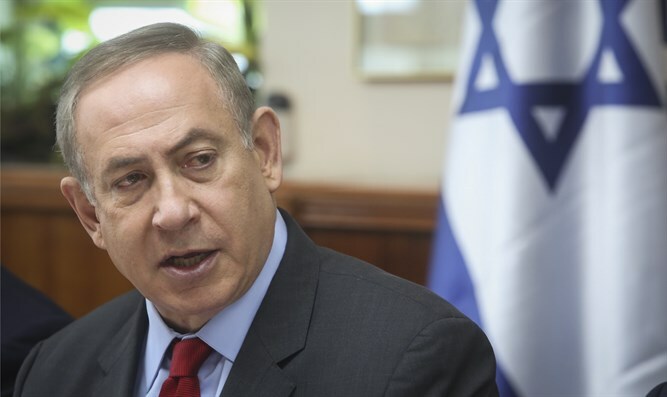 “I still want to make a systematic and consistent effort to reduce this even further, because these kinds of votes have no place at the UN,” Netanyahu added. Opposition leader Yizthak Herzog called the resolution anti-Semitic. “This [UNESCO resolution] is an anti-Semitic and anti-Israel disgrace that distorts the history of the Jewish people and their unshakable connection to their capital, Jerusalem,” Herzog said. “This is a miserable, baseless and aggressive decision that will find itself in the garbage can of history, just like the accusation that Zionism is racism," Herzog added. “Israel does not need approvals from political bodies to connect the unshakable historical connection to our eternal capital, a connection that is over 3,000 years old and cries out from each and every stone in this city," she added. Israeli President Reuvin Rivlin told foreign ambassadors gathered at his residence to celebrate Israel's Independence Day that their governments should respond to the resolution by recognizing Jerusalem as the capital of Israel and moving their embassies there. “It is time to put an end to the absurd. It is time to recognize Jerusalem, as the official capital of the State of Israel. De facto, not just de jure. It is time to move all the official embassies here, to Jerusalem,” Rivlin said. 22 nations voted to pass the resolution declaring that Israel's sovereignty over Jerusalem is null and void. 10 nations opposed the resolution while 23 nations abstained.